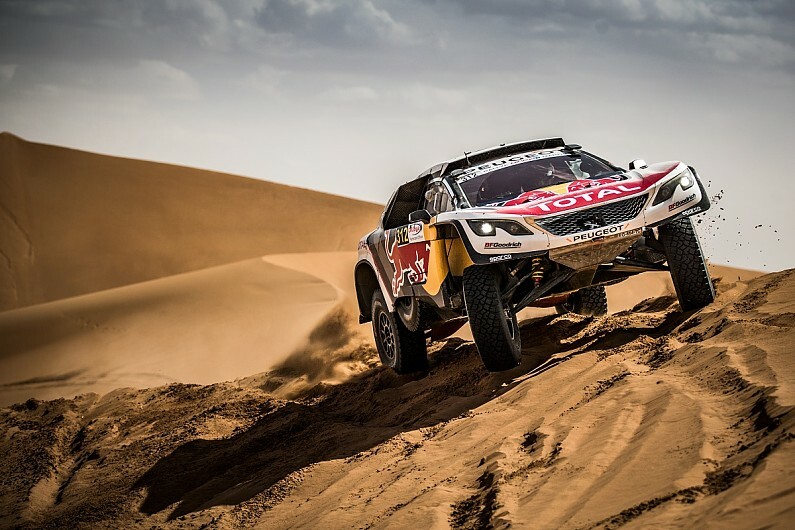 Peugeot has announced it will end its Dakar Rally programme after the 2018 event. The news had been long anticipated following Peugeot’s victories in the 2016 and ’17 events, and given its dissatisfaction with rule changes that are set to hamper its rear-wheel-drive cars. Peugeot Sport director Bruno Famin said: “As this will be the last Dakar for Peugeot, we would like to finish our amazing campaign on a high note. Peugeot has retained Stephane Peterhansel, its winner for the past two years, alongside World Rally champions Sebastien Loeb and Carlos Sainz Sr, and five-time Dakar motorcycle category winner Cyril Despres. “The problem is that the more you win, the more you want to keep on doing it,” said Peterhansel, who has now won the event six times on a motorcycle and seven times in the car class. “This year it will be even more special, with the 40th edition and my 29th participation. “Who knows if it’s going to be my last one or not, that is still to be seen. Peugeot’s latest 3008DKR Maxi has completed over 11,000 miles in testing so far. It is wider than its predecessor and Peugeot believes it has made improvements in the suspension and reliability in particular. Loeb has led the Dakar on both his starts so far but accidents and mechanical problems have prevented him winning in cross-country rallying. “I’ve been happy with my speed when it comes to adapting to this discipline, but I just need to show a bit more consistency and convert it into overall winning results,” he said. “We know that we’re right up there, and we’ve proved it over the course of the year at the Dakar, the Silk Way Rally, and also the Rally of Morocco. “Nonetheless, we’ve only got a total of six rally raids behind us, which means that we are always going to be lacking in experience compared to the others.